Richard was the founding Artistic Director for Keystone Theatre and maintains a key advisory role with the company as Artistic Associate. 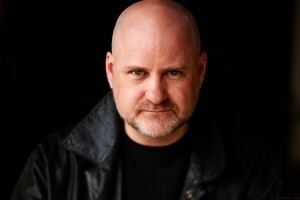 Richard has been an actor and director for over 25 years. His work has been seen across the country in various venues, including the Stratford and Shaw Festivals, The Citadel Theatre and The National Arts Centre. He directed the Canadian Comedy Award winning Trapped in Taffeta by Leslie Seiler, and spends a lot of time with Shakespeare, too. His work as an intern director at The Shaw Festival, and particularly as an assistant director to Neil Munro on Chaplin by Simon Bradbury was particularly influential and helped lead him to launching Keystone Theatre. For Keystone Theatre Richard was Director/Actor/Co-Creator for The Belle of Winnipeg and Gold Fever and was Assistant Director/Co-creator for The Last Man on Earth. Richard holds an MFA in Acting from York University and has taught acting at the Act II Studio at Ryerson University, York University and George Brown College. Ultimately, his goal in life is to make you smile. Want to get the latest news from Keystone Theatre sent directly to your email? Sign up for our Newsletter! Its a convenient way to keep abreast of what's happening with us.